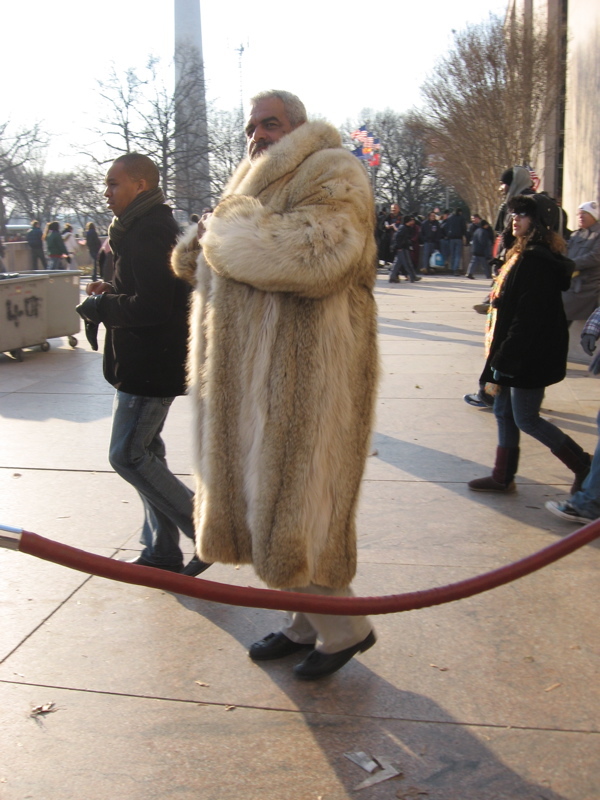 I love Bill Cunningham’s on the street photos. I must say he did take my photo once at the Union Square Farmer’s Market, I was carrying an armload of peonies and wearing my vintage waterfall print skirt. I was leaving the market, on my way home walking toward 5th avenue. He sprang up from behind me and I was blinded for half a second by super bright white light. I did not have time to protest. He didn’t ask if he could take my picture. But he stepped back looking at me and said, “Marvelous”. How could I protest after that? I see him from time to time there. And once riding his bike in Central Park. With camera around his neck of course. I would love his job. So I”m surprised he didn’t have better access for the Inauguration. I disagree with him on his comment about “no fashion” among the spectators. I was in fact surprised to see just how sophisticated and elegant a lot of women looked. And to stand outside in the frigid air for several hours no less! A lot of women had on high heels! Two women brushed by me — very fancy — fluffy Donna Summersesque wigs (or weaves, though wigs would’ve probably been warmer — they weren’t wearing hats), one in a long pink mohair cape and high heeled boots. Faces done. That cape was really stunning and made me rethink my outerwear choices. I seriously felt like I was on my way to pick apples or stir my compost heap. I haven’t seen that many full length fur coats in one place in a very long time. Even the men were wearing them. But the weather was the ideal condition for them. It was nothing for a half a dozen women to walk by all in full length black mink coats. Like they were going to church. They reminded me of my mother and her friends and my aunt going to the Ebony Fashion Fair in the 70s. They would get completely dressed up to go to this fashion show in downtown Chicago. My mother didn’t own a fur, didn’t care to own one, but she’d borrow her friend’s coat just the same, to go over a new dress she’d sewn overnight. I was reminded of all of that. What these women were wearing and how they were wearing it hit me in a much deeper place than any of the women he shoots crossing Fifth Avenue and 57th Street near Bergdorf’s. The women in DC were not trendy. And yes, in that vein not fashionable. They were wearing a lot more than those sweeping fur coats that day. And he said he would have surely regretted not being there. Here are other joyous spectators I captured on Inauguration Day. 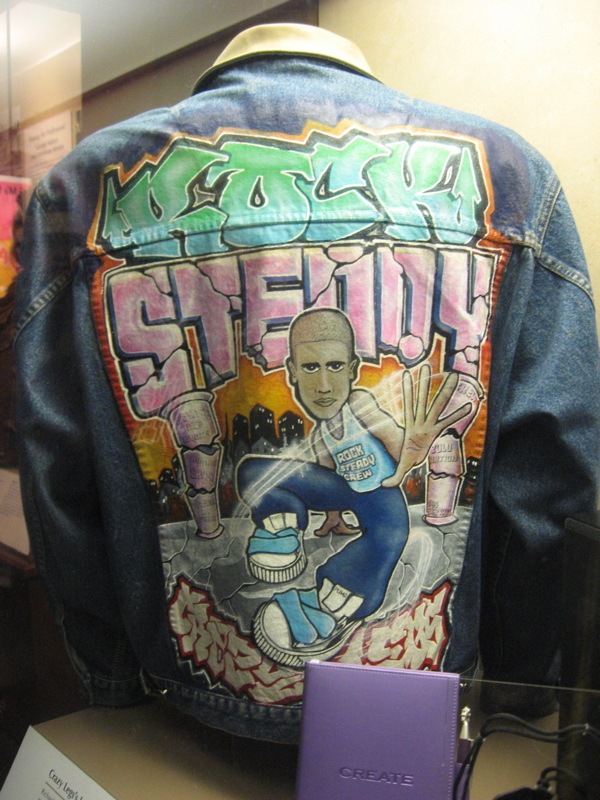 Crazy Leg's Jean Jacket and MC Lyte's journal in the Smithsonian. Last week on Inauguration Day, the Smithsonian, thankfully, was open. So we had a nice spot to get warm and to use the facilities. 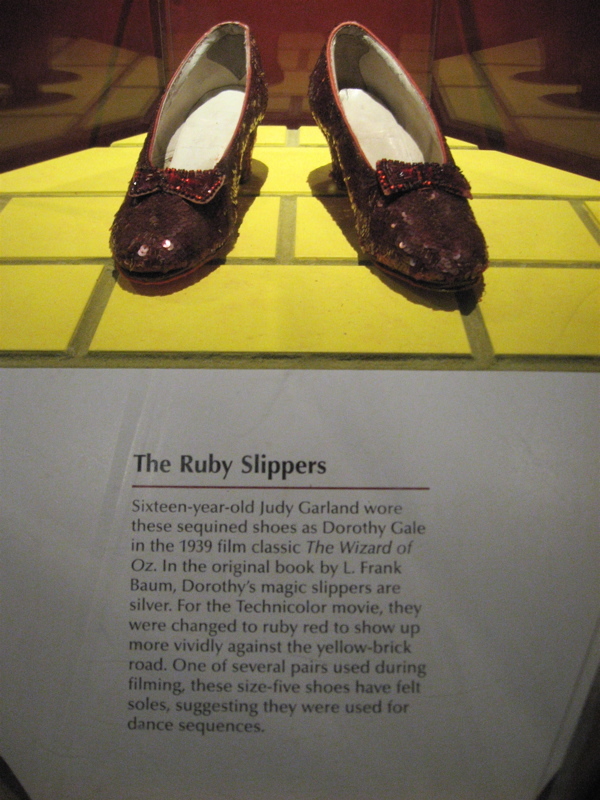 [As a side, I did not know that the Smithsonian was not one museum but nineteen. We told ourselves that we’ll definitely come back to DC for a weekend visit in an effort to up our identification of buildings other than the White House.] We stopped in the Air & Space Museum and then later walked across the Mall to the National Museum of American History. I overheard two women mention the Julia Child kitchen had just closed, darn, I really would have liked to see that. But a nice woman in early American dress, either Jamestownian or Williamsburgian, I’m not certain, told me that Lincoln’s top hat was on display upstairs. We got a bit side tracked with Stephen Colbert’s portrait, then ended up in an alcove with Dorothy’s Ruby Slippers, the original Kermit and Oscar the Grouch, a beaded gown and super high heeled wedges worn by Celia Cruz. Further in was a case of objects once owned by the Founding Fathers and Mothers of Hip-Hop: Grandmaster Flash‘s turntable resting on top of Fab 5 Freddy‘s Boom Box, Crazy Legs‘s jean jacket, (The Big Guy recognized graffiti artist Shy 147′s tag painted in the background, maybe he painted the entire jacket? No mention on the placard)*, Afrika Bambaataa‘s Zulu nation pendant and MC Lyte‘s suspiciously brand new looking journal. A few years ago, The Smithsonian launched a multi-year collecting initiative to begin documenting the impact and importance of Hip Hop in American culture. Ahhh, the Bronx representing in our Nation’s capital. 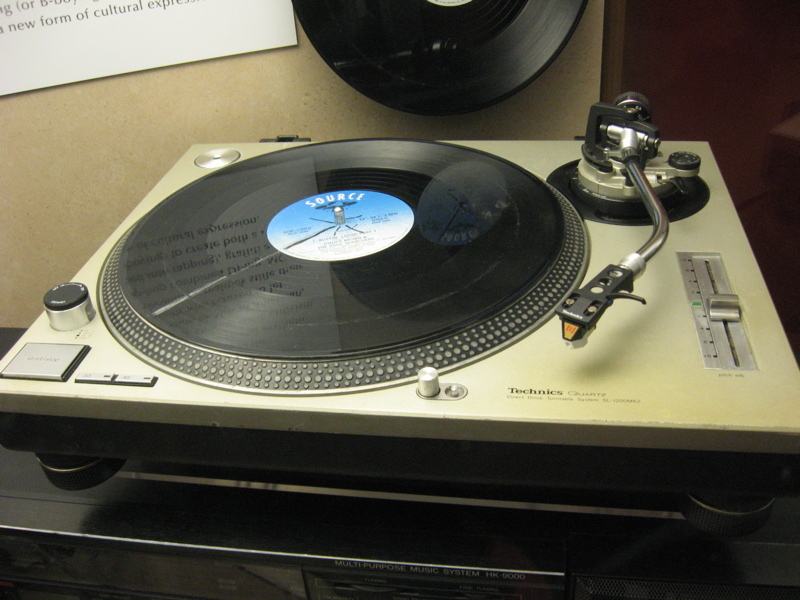 Grandmaster Flash's Turntable at the Smithsonian. The white line on the record is made by the DJ to mark where the beat begins. Abraham Lincoln's Top Hat worn the night he was assassinated. 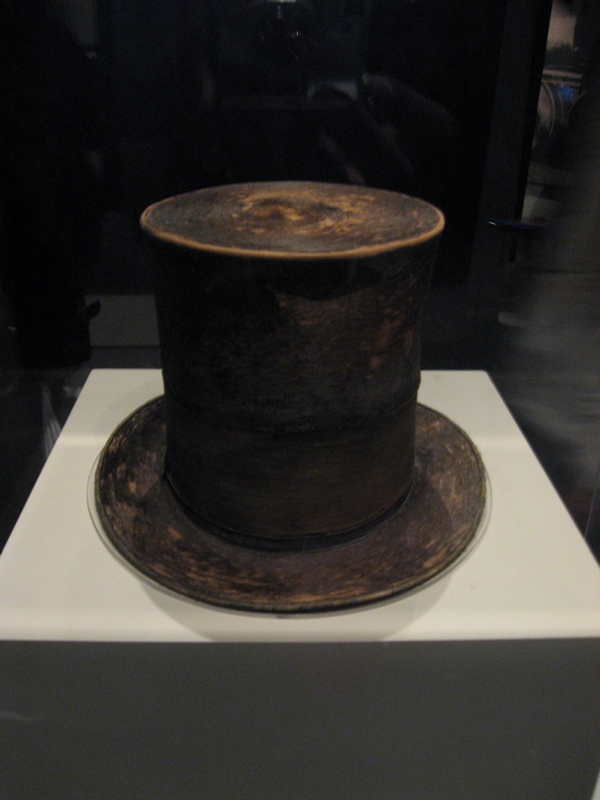 Here is Lincoln’s top hat, the last one he wore on the evening he went to the Ford Theatre. I had a spooky feeling looking at his hat, half expecting to see a round bullet hole. I didn’t see one. I didn’t want to see one. 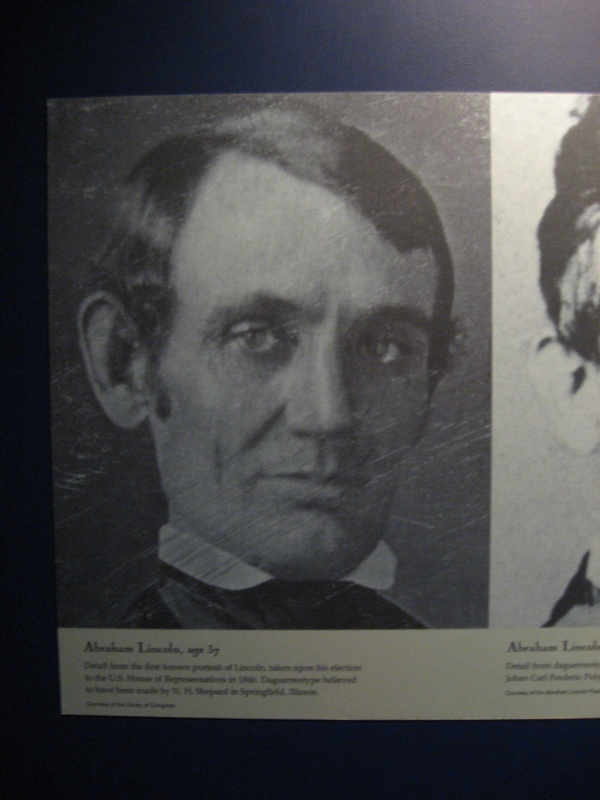 Abraham Lincoln at 37 years old. 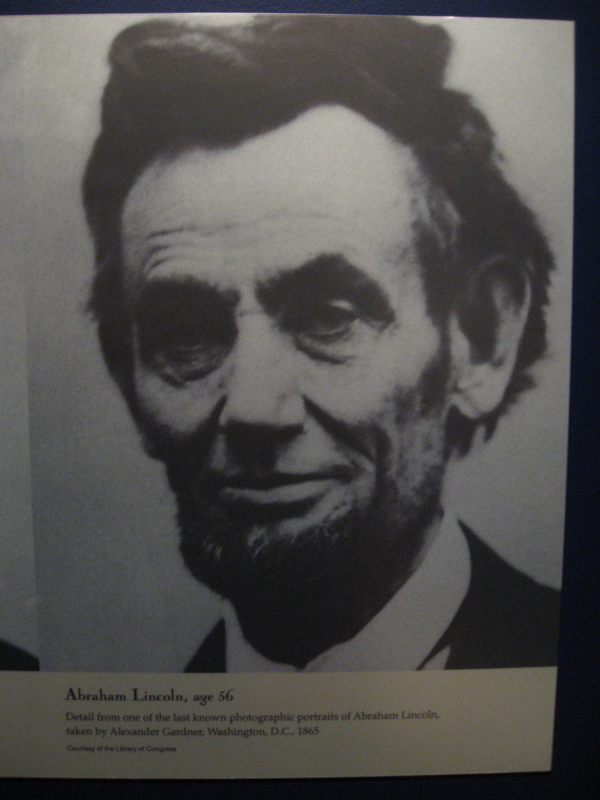 Abraham Lincoln at 56 years old. 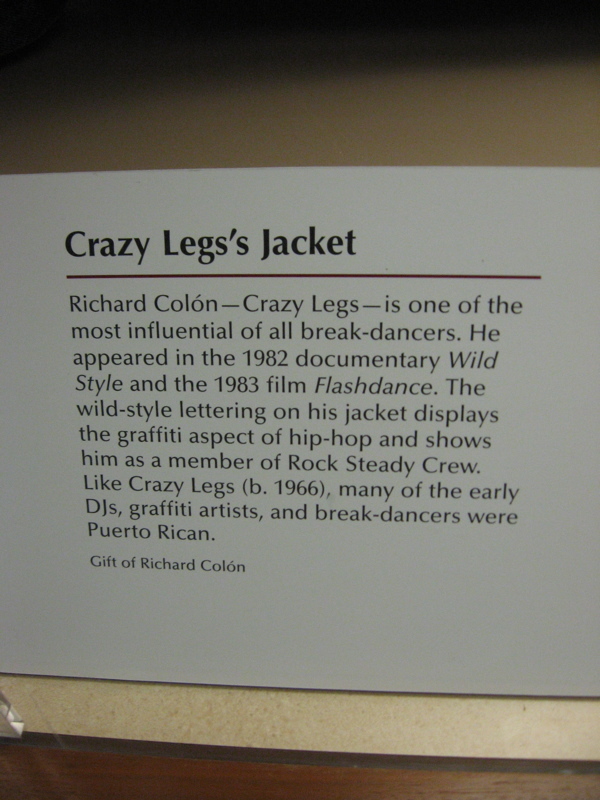 *UPDATE 4/6/09: Legendary break dancer Crazy Legs, sent a comment regarding the artist who painted his jacket — West Coast dancer, Easy Roc did the artwork. See his full comment below. Odetta performing at the March on Washington in 1963. She had hoped to perform at the Obama Inauguration, but she died last December. Here are 44 songs for the day that Barack Hussein Obama becomes the 44th President of the United States. Songs marked with an asterisk * are apparently from Obama’s own iPod or from his sound engineer played during his campaign rallies, or songs that Obama has claimed are his favorites. I have no way, of course, to know if this is entirely true as this info has been gleaned from the interweb. And let me know what songs you would include! This song is so gorgeous, so moving and one I had not heard in a very long time. Great choice discovered on the Obama Playlist of The F$%K It List. After reading my previous post about the Obama Inauguration, a dear reader sent me two links showing the front pages of newspapers across the US and around the world after Obama’s November win. Looking at them gave me chills all over again. I can’t wait to see the covers the day after the Inauguration. The new President will need our help. He said so the night of his victory speech back in November. I know I said I would help him. And I know others that did too. Here’s our chance to roll up our sleeves and get busy!